Top three US carriers commit to BlackBerry 10 | BlackBerry Blast! Although RIM has received a lot of bad news over the last two years don't count them out just yet. 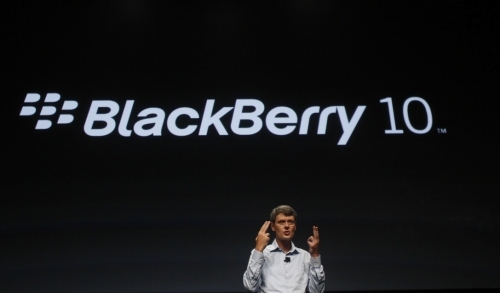 BlackBerry 10 is just around the corner and the top three US carriers will offer BB 10 devices. Executives from Verizon, AT&T, and T-Mobile have said their companies will offer BlackBerry 10 devices. "We're hopeful its going to be a good device," Lowell McAdam, chief executive of Verizon Communications, majority owner of the biggest U.S. mobile service Verizon Wireless. "We'll carry it." T-Mobile's Chief Executive, John Legere, said, "We're extremely optimistic that it's going to be a successful product and our business customers are extremely interested in it."